Disposable gloves are widely used in many industries such as healthcare and food for personal protection or contamination prevention. They are generally made from synthetic elastomeric material like nitrile and vinyl or natural rubber latex. Traditionally, color of disposable glove are only available in white or blue. Today, with the growing importance of color coding in personal protective equipment, disposable gloves are available in a multitude of colors. 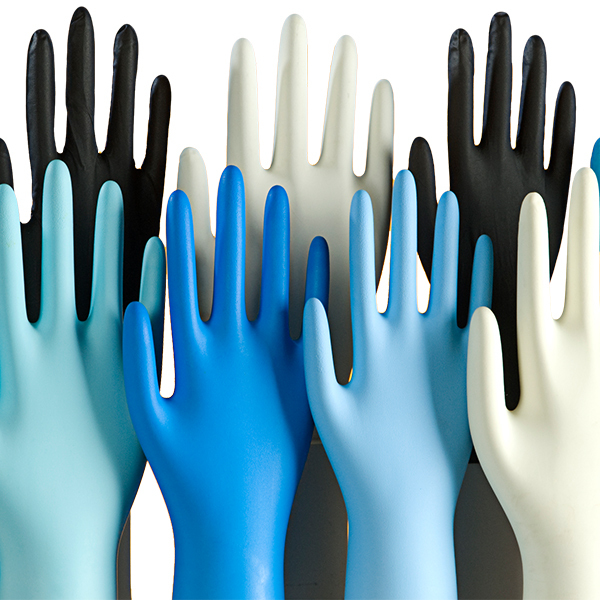 Color of gloves is important as it provides visual cues for workers and their supervisors. In the food industry, color coded gloves are used to prevent cross-contamination of raw and cooked foods during food handling. In the medical industry, color coded gloves are often preferred as they help differentiate between nitrile and latex gloves. Quality is often associated with consistency and implementing color quality control in gloves manufacturing process helps achieve the right color consistently. Evaluating glove color visually can be challenging as the human eyes see and describe color differently. Also, factors like lighting conditions, surrounding color and sample size affect our perception of color. In color measurement, the commonly used color space is the CIE L*a*b*. With the help of color measuring instruments, accurate and consistent color assessment is possible. Most disposable gloves are not fully opaque due to its materials or thickness. Multiple folds of the gloves before measurement is recommended to ensure opacity. Find out more about the measuring method here. For more information on how to measure the color of disposable gloves, email or call us at 6563 5533 for a free consultation with our color specialists.